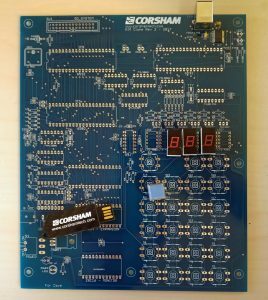 A KIM-1 by Corsham Technologies, a new build project. 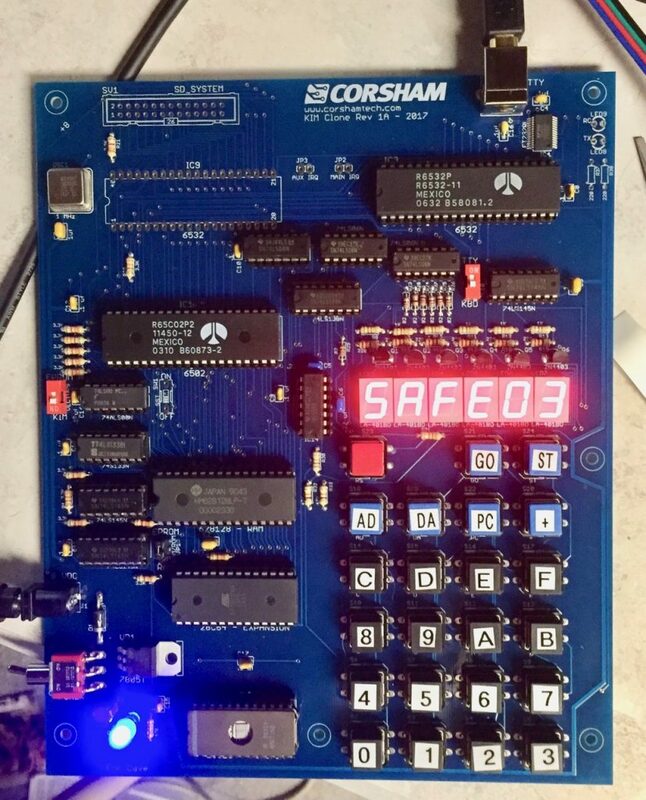 The short-lived 6501 by MOS Technology appeared as far as I know only in a board made by The Digital Group. 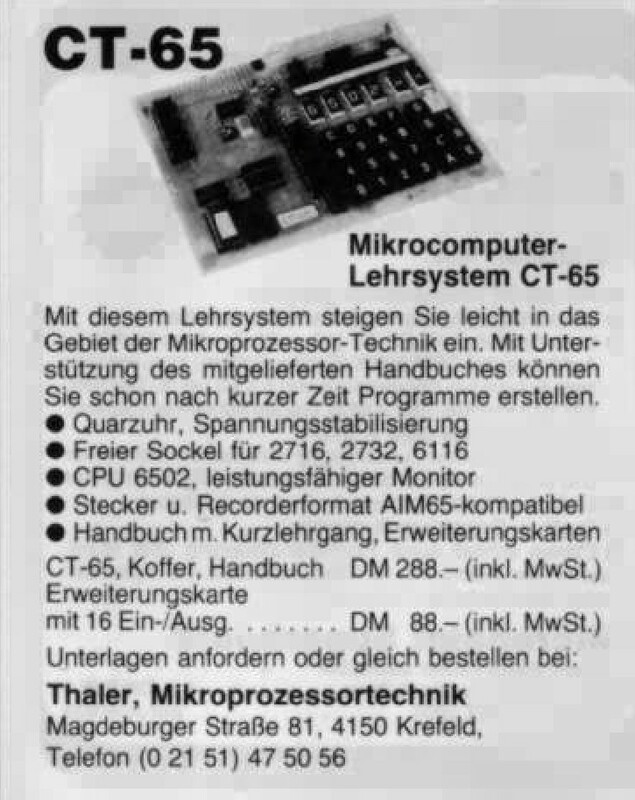 – The 3-board Intel or Motorola CPU kit cost $425, while the MOS 6500 CPU kit cost $375. 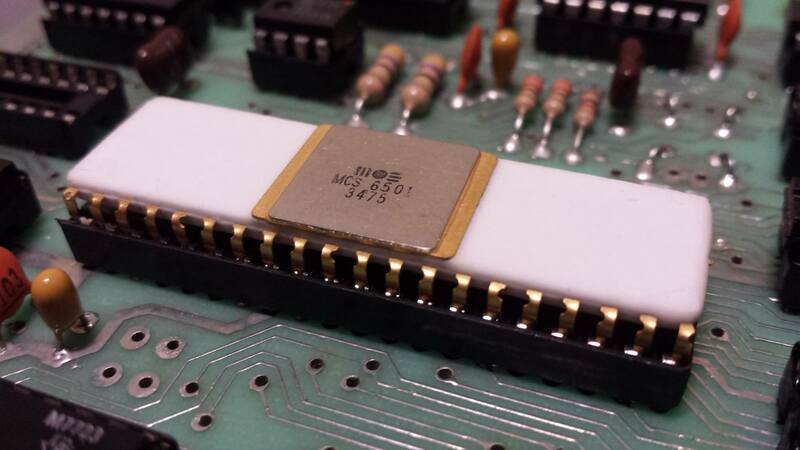 Later, the Zilog Z-80 CPU was added to the selection for $475. 650x Operating system PDF, with listing in octal! Thaler AG is a German company, still in business. 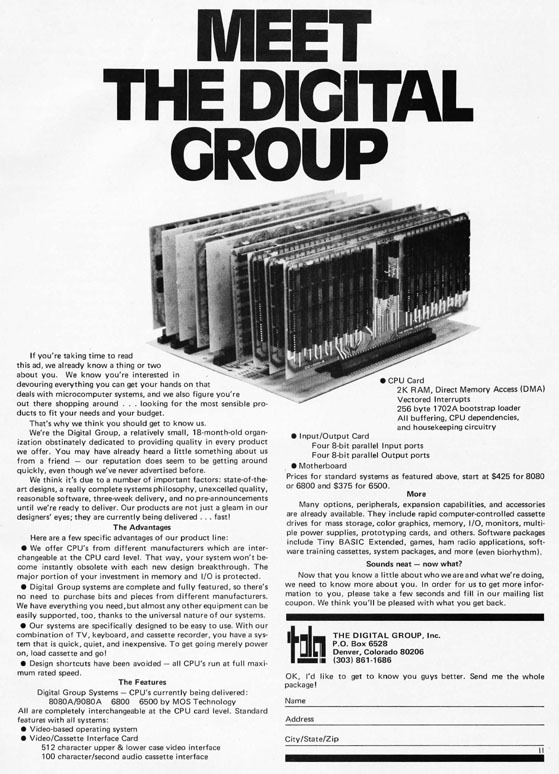 Around 1983 the company sold a 6502 development system in the format of a SBC, size 2x Euroboard, and several enhancements for it under the name CT-6502 or CT-65. 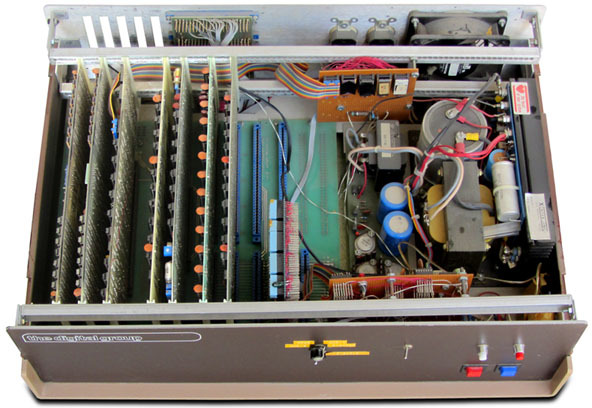 6502 based, hex keyboard and the usual 6 seven segment LED displays, audio cassette storage. 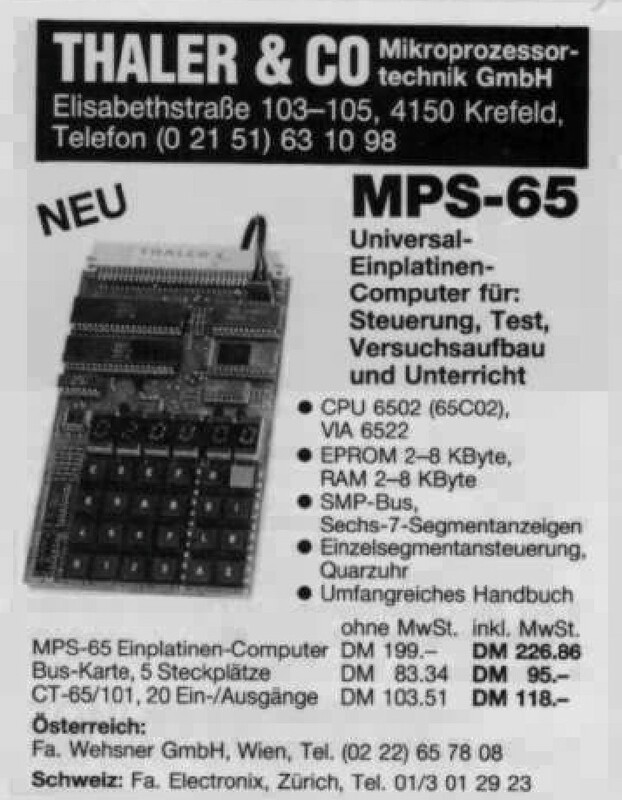 In 1984 a smaller and stripped version SBC was produced, named MPS-65, size Euroboard. 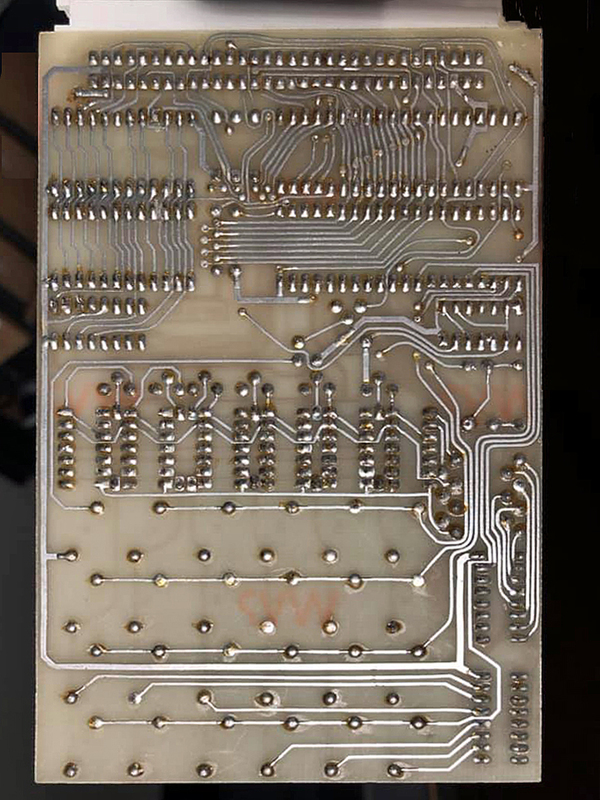 Accompanied by add-on boards such as VIA board and cassette interface. Same software, same keyboard and displays, more modern technology, no cassette storage, less ROM sockets. A SBC in the KIM-1 style. 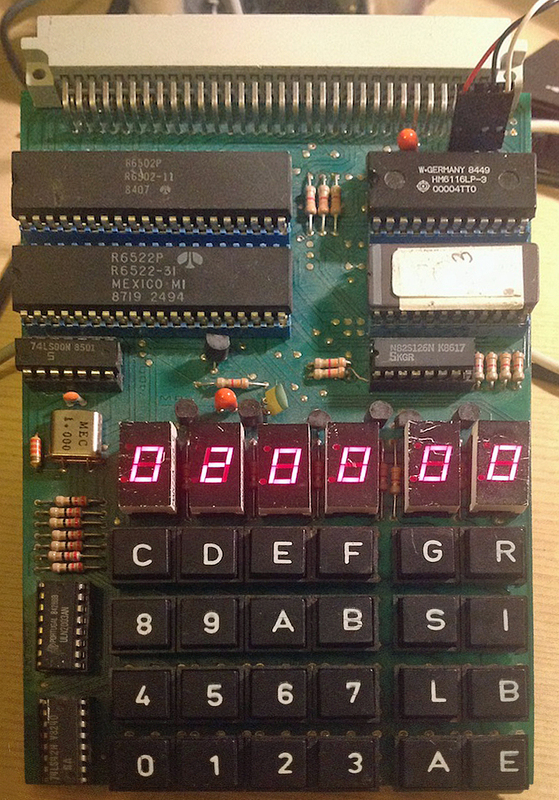 Keyboard with 24 keys, 6 seven segment LED displays, simple audio cassette storage, 1 K RAM, 2 K EPROM, some empty IC sockets. 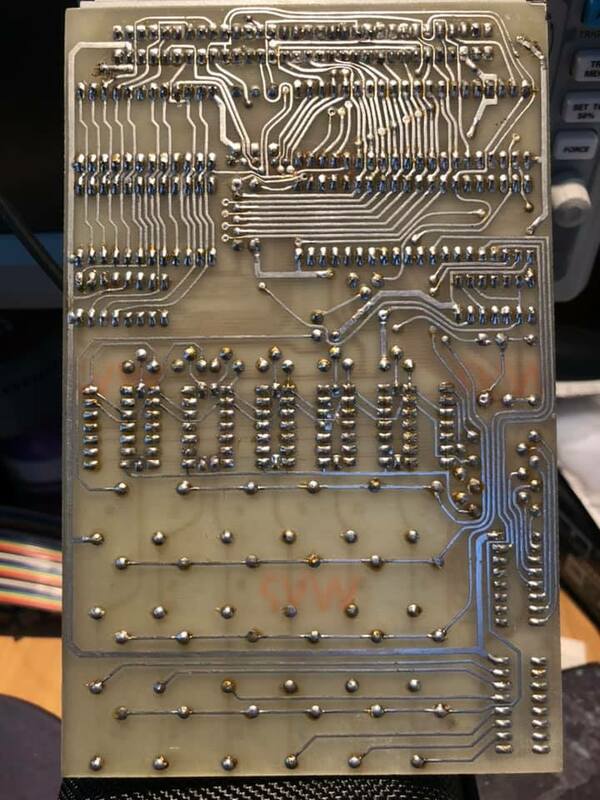 A rare 6502 SBC. Only two have been seen by me. 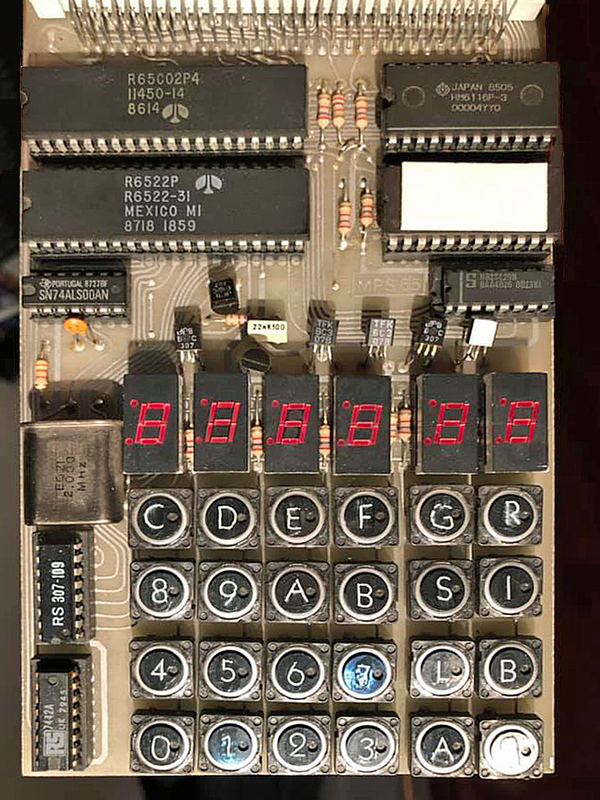 One is shown by user mba on the forum at 6502.org, who also dumped the system ROM in EPROM. 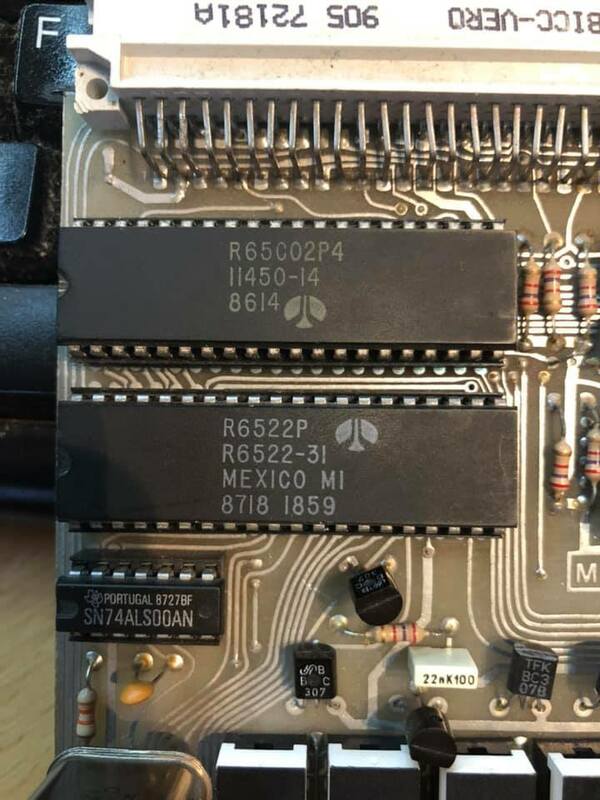 The other was shown on the Facebook group “6502 Homebrew Hardware and Programming” by user Ian Day. who build this system in the 80ties. 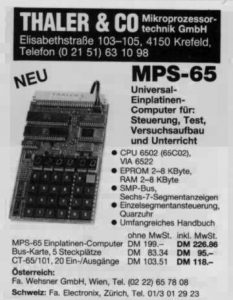 The MPS65 is a stripped down version of the CT-65, missing ROM sockets and audio cassette storage. 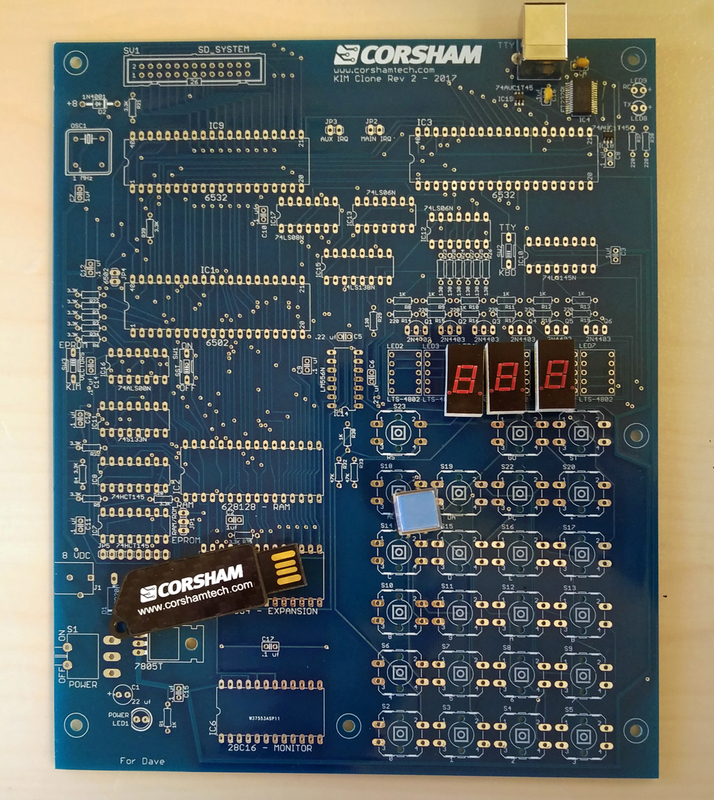 The Euroboard sized SBC has a 6-digit LED display, a 24 keyboard with hex keys and several function keys. Requires a stabilized power supply 5V. 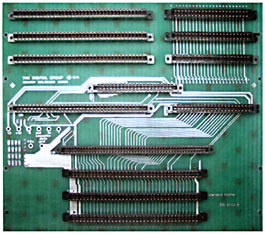 WIth expansion connector 64 pins, Siemens SMP bus compatible. On the board is written MPS 65-2. At the bottom of the inscription Thaler (the same inscription is in ROM, in addition to the date 1984. Ian supplied a dump of the still operational 82S126 PROM. addr B addr D Output. Output 4 is Rom (16 pages, 8 would be enough for 2716, optional 4K 2732? 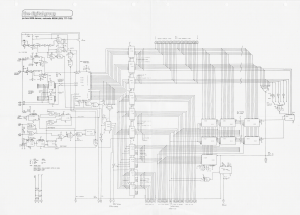 ), three is Ram (8 pages, 2K SRAM 6116) and two is VIA 6522, one page . 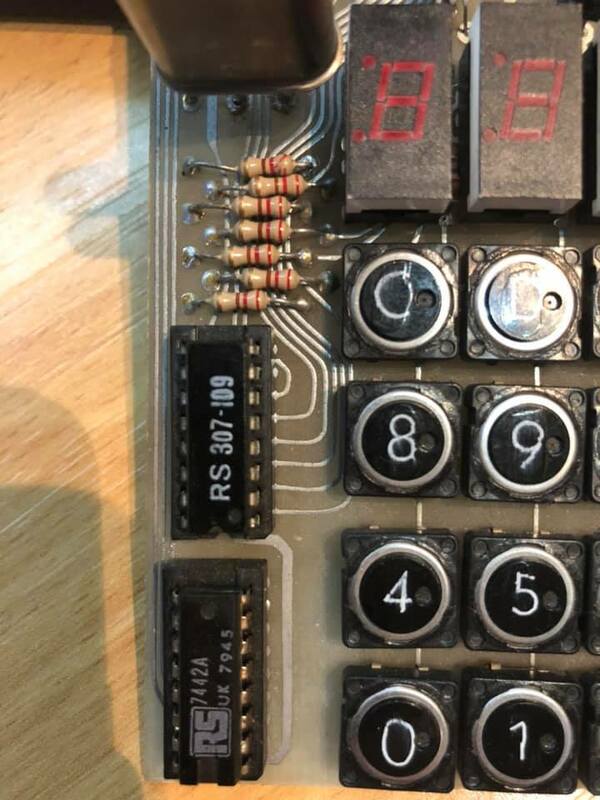 Note that the CT-65 has a different PROM and four chip select lines are generated, see the manual. E000 and E003 addresses are called by routines in the system ROM. The ROM socket for ROM at E000 are not present on the MPS-2, only on the CT-65. A transistor a capacitor and resistor (and the 74LS00) drive the power on reset. 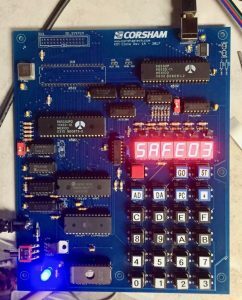 A VIA 6522 supplies I/O for the keyboard/LED display. 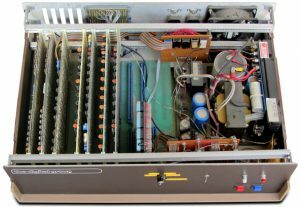 The darlington array ULN2003 (mba system) or RS307-109 (Ian Day) is driven from the 6522 and goes through limiting resistors and up to the 7 individual segments of the LEDS. So this drives the rows of the display. 6 transistors drive the columns. 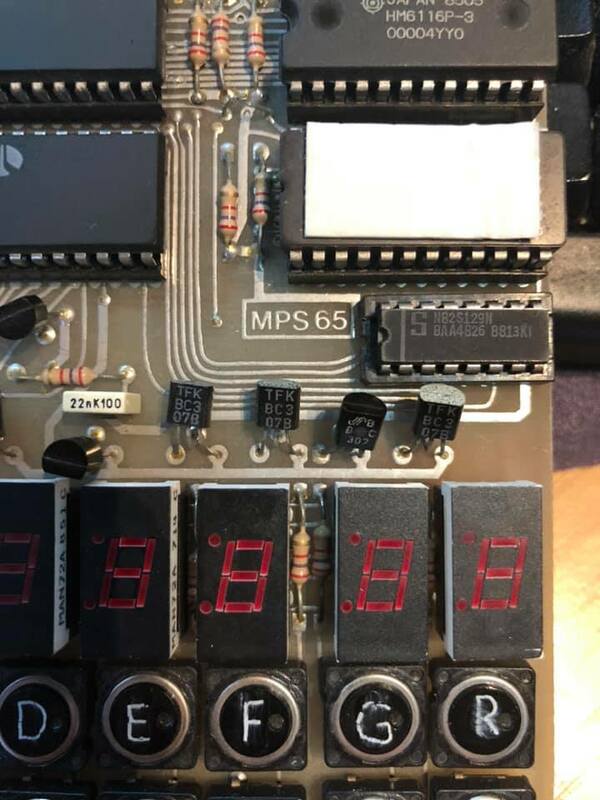 The MPS-2 and CT-65 systems seem to share the same system ROM. Some functions can not be used on the MPS_2 such as Load and Save due to missing hardware. 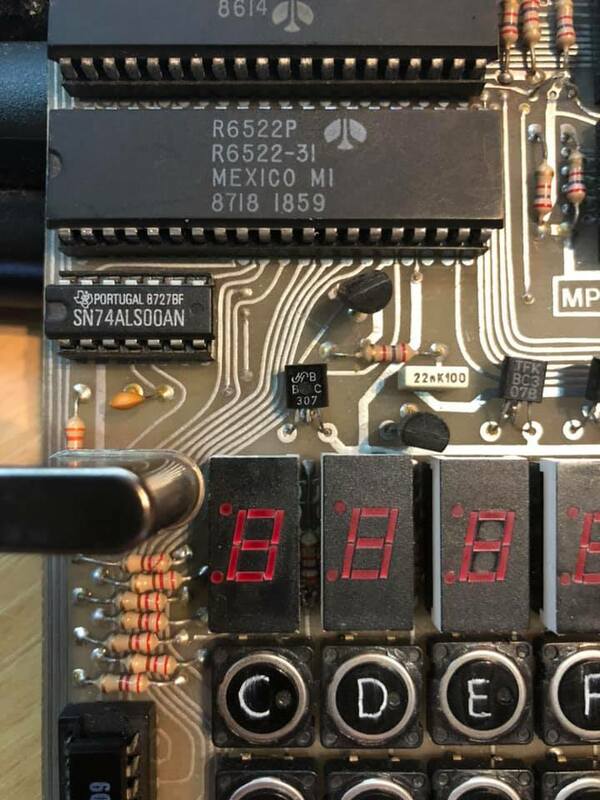 User mba made a dump of the MPS-2 sytem ROM. Binary file here, in hex format here. In theory this is the same system ROM as the CT-65 uses. 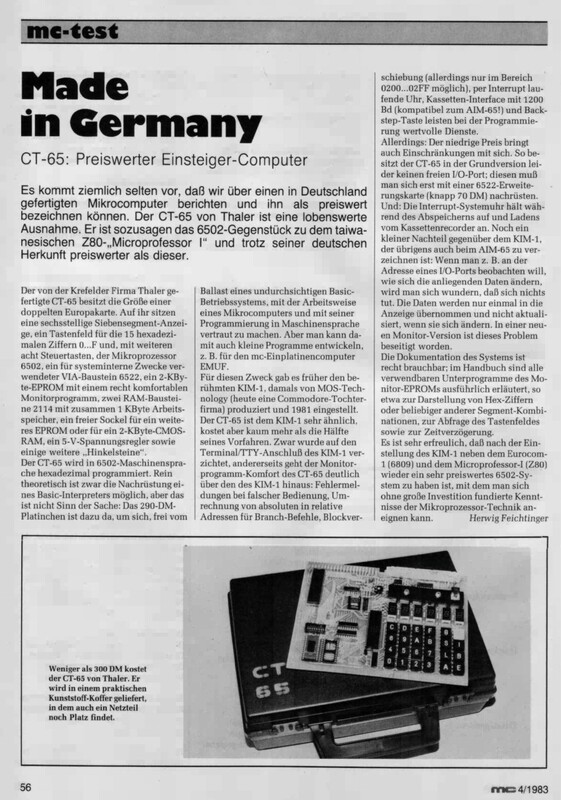 From the magazine article I read that an updated version for the CT-65 was developed, it is safe to assume this updated version is also used for the later MPS-65. Not too much comments yet. The jumptable at the start has been filled in with information found in the manual. Not yet tried to assemble the source! 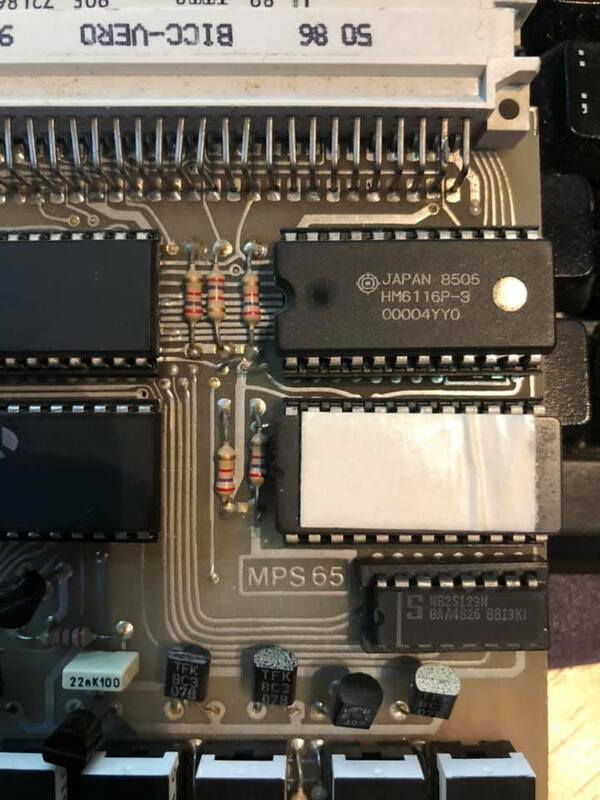 Ian Day also disassembled his ROM of the MPS-65 and it is different in subtle ways, see it here. And here the dump of his ROM. From the video above an attempt has been made to reconstruct the manual of the CT-65, available as PDF here. The manual contains a description of the extensive commands available on the keyboard, circuit diagrams and other interesting facts. 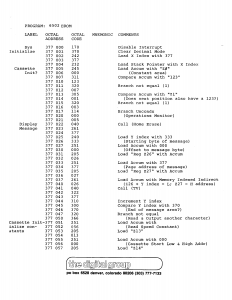 A source listing of the system ROM has never been published, only the jumptable is documented in a very terse format.